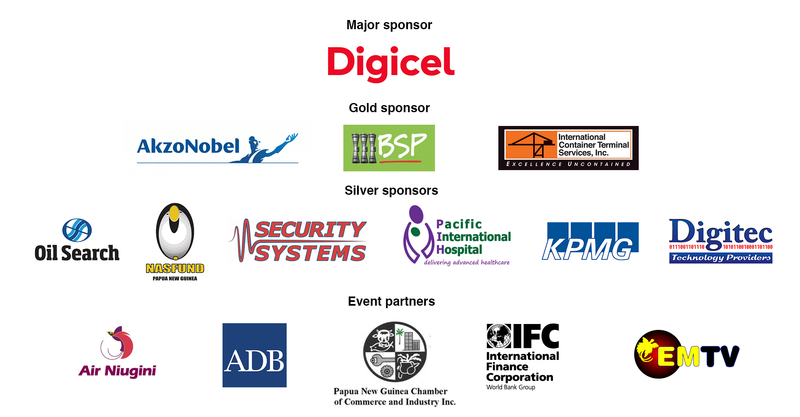 The program for the 2018 Business Advantage Papua New Guinea Investment Conference, which was held on 6 and 7 August, at the Sofitel Brisbane Central, Australia. The themes of this year's conference were innovation and sustainability, with Day 2 dedicated entirely to infrastructure, transport and logistics. To view and download presenters' slides, please visit the individual sessions below. To register your interest in attending or sponsoring the next PNG Investment Conference, please contact us using the form at the bottom of this page. The speakers' presentations are now available below — they are displayed under each session. Click on the text 'PDF' or 'PDF of slides'. 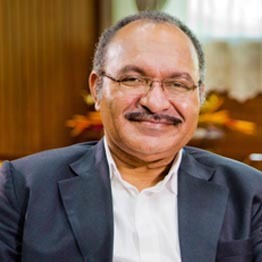 Peter is the Prime Minister of Papua New Guinea. He is the leader of the People’s National Congress and represents the constituency of Ialibu-Pangia. He was sworn in on 4 August 2012 as the ninth Prime Minister of Papua New Guinea and was returned for a second term as Prime Minister after PNG's National Elections of July 2017. 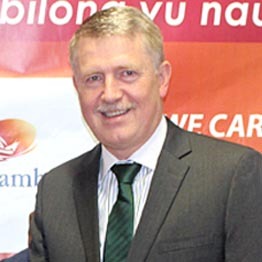 Prime Minister O’Neill was a businessman before entering politics. He was first elected to the National Parliament of Papua New Guinea in 2002 and became a minister in the same year. The 2016 Paris Agreement, to which Papua New Guinea is a signatory, has committed governments across the globe to a low carbon future. What does that mean for business now and into the future, and how can PNG in particular take advantage of the considerable opportunities that will flow from it? 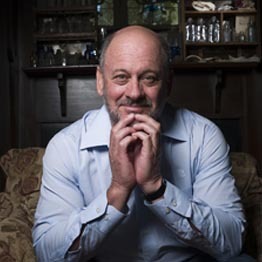 Tim Flannery, one of the world’s most respected climate experts, will provide valuable insights into what a low carbon future will look like and how it is likely to influence the way business and trade is conducted. Tim is currently a professor at Sydney's Macquarie University. In 2005, he was honoured as Australian Humanist of the Year and, in 2007, he was named Australian of the Year. A well-known author and broadcaster, Tim has a long connection with Papua New Guinea, having conducted significant fieldwork there as a mammalogist and palaeontologist, during which he discovered a number of previously unknown species. Tim is an Australian mammalogist, palaeontologist, environmentalist and global warming activist. 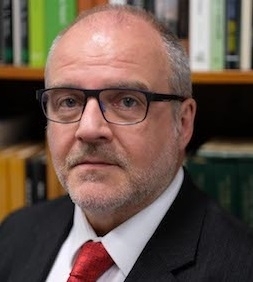 He was the Chief Commissioner of the Climate Commission, a Federal Government body providing information on climate change to the Australian public. 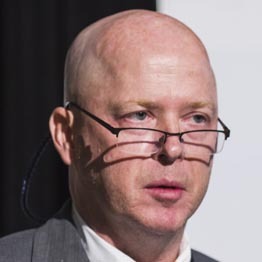 In 2013, Flannery announced that he would join other sacked commissioners to form the independent Climate Council, that would be funded by the community. Tim was named Australian of the Year in 2007 and previously, until mid-2013, was a professor at Macquarie Universityand held the Panasonic Chair in Environmental Sustainability. He is also chairman of the Copenhagen Climate Council, an international climate change awareness group. His sometimes controversial views on shutting down conventional coal-fired power stations for electricity generation in the medium term are frequently cited in the media. PNG looks to be on the cusp of a new phase of significant growth, driven in part by major resources and infrastructure investment. Edward Faber, Country Economist for Papua New Guinea at the Asian Development Bank, will provide an update of the state of Papua New Guinea’s economy and will provide some insights into what will drive its future economic growth. Edward assumed the role of ADB Country Economist in PNG in early 2018, where he is responsible for ADB’s economic outlook and updates on PNG as well as liaising with the PNG Government and development partners on ADB’s forward pipeline of transactions. Edward has worked for ADB for more than eight years, as both consultant and staff, and has a strong understanding of the economies in the region, having worked in more than 20 countries in Asia and the Pacific. Edward started his career in banking in London as a credit analyst with Bank of New York and Societe Generale Group. At ADB, Edward was initially responsible for analysis of financial institutions and economic and country contexts. He then held responsibility for managing a $2 billion annual trade finance portfolio in ADB’s private sector operations team, covering Bangladesh, Pakistan and the Pacific Islands, including PNG. Papua New Guinea’s economy has undergone significant transformation and modernisation in the past decade, leading the country’s major investors to adjust and refine their investment strategies. In this session, some of the country’s leading investors will discuss where they feel the opportunities will lie in the coming decade. David is Chief Investment Officer at NasFund the largest private sector super fund in PNG. With extensive experience managing superannuation, pension and insurance funds, David has run portfolios of infrastructure, private equity and real estate as well as listed securities. An experienced Director, David has advised Boards on investment strategy, portfolio design, and risk management in PNG, Australia and the UK. 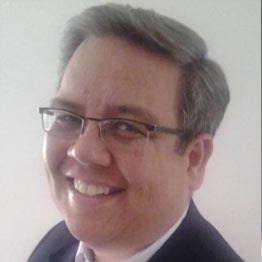 Previously, David was CIO at PacWealth, Senior Advisor at Cambian Corporate Advisory in Melbourne, Chairman of AVCAL (The Australian Private Equity and Venture Capital Association), Head of Private Markets at VFMC, Melbourne, Strategist at QIC, Brisbane, and Investment Manager for corporate pension clients at Standard Life in Edinburgh, Scotland. The National Superannuation Fund of Papua New Guinea (NASFUND) invests PGK 4.5bn in superannuation assets for 500,000 Papua New Guineans \ and is one of the the largest investors in the PNG economy. Paul Sayer was appointed Chief Executive Officer in July 2017 and is responsible for leading the K6 Billion Fund. A proven leader with over 25 years’ experience in Superannuation and Insurance, Paul has a wealth of experience from a range of senior positions in the industry, including CEO of TWUSUPER and Chief Operating Officer of REST Industry Super. 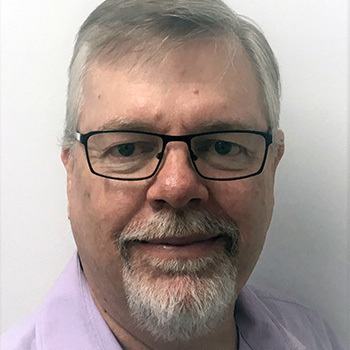 Paul holds a Bachelor of Business and a Master of Business Administration from the University of Technology, Sydney, and a graduate Diploma of Organisational Leadership from the University of Melbourne. 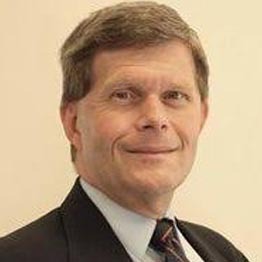 Paul is a Certified Practicing Accountant and a Fellow of the Australian and New Zealand Institute of Insurance and Finance. What’s really happening with LNG? Resource analyst David Lennox reviews the latest developments in PNG’s gas sector against the background of global trends in LNG investment and consumption. Looking beyond the hype, he will take a close look at PNG’s LNG prospects over the coming decade. As Fat Prophets' Resource Analyst, David Lennox covers the spectrum of the commodity offerings and provides a focus on both the Australian and international markets. David’s practical experience covers over 40 years of research activities, covering resource and non-resource investments. David’s research experience has covered companies at each end of the market capitalisation metric and projects of all sizes, complexities and commodity types. David is regularly approached by the media to provide views and analysis of global events and their impact on commodities and resource companies. 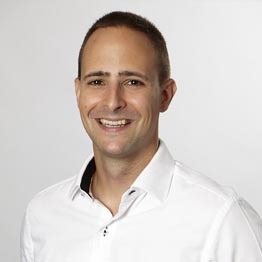 David holds an MBA from the Macquarie University. Financial services giant Mastercard is experiencing extraordinary global growth in its secure, cashless payments business and now it’s taking a strong interest in the Pacific Islands. Its regional director Craig Kirkland will explain why, and how business and consumers in the region stand to benefit. 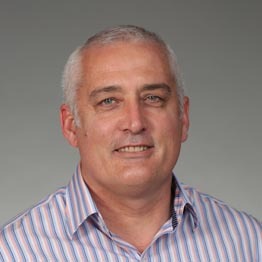 Craig has been in involved in many aspects of payments in Australia and New Zealand since 1995 before starting a consulting practice in 2000, then joining Mastercard in 2011. Prior to that he spent nine years with NSW Police. Craig’s role at Mastercard covers all aspect of payments including B2C, B2B and Government with financial inclusion being a major focus for Mastercard in the region. 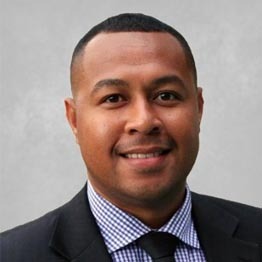 More recently he has been working in several markets, including PNG to upgrade the acceptance networks, delivering a robust world class ecosystem which will support the Pacific Islands markets into the digital future. Added to this, Mastercard established the Pacific Islands Risk Council and have been delivering on-soil support for their bank customers in the evolution to chip and contactless technology which is currently being deployed across the region. Papua New Guinea has rich tourism potential and now the sector is starting to attract some significant investment. In 2019, Port Moresby will finally see the opening of its first premium resort, at Loloata Island. Lew Nielsen will outline the nature of this pioneering project, which is being funded by domestic investors. Lew has worked exclusively for the Lamana Group for more than 20 years. He was involved in the planning of the first project in Port Moresby for Lamana Development. He went on to oversee the regional and international hotels until he decided to step back a little in 2015. Lew is Director and Secretary of Heritage Park Hotel in Honiara and Loloata Island Resort in Port Moresby. Don’t write the cheque before you attend this session! What should an investor know before making an investment in PNG? An expert panel—drawn from a Big Four accounting firm, a leading regional bank, the World Bank’s investment arm, and the statutory body responsible for facilitating investment in PNG—will examine the current investment climate in PNG, including the risks, the obligations and the regulatory framework—and how these can all be successfully navigated. Kindly sponsored by Digitec. As Westpac Pacific Regional Head, Kip delivers Westpac’s International business priorities in Fiji and Papua New Guinea. He oversees the full end-to-end banking operations with strategic oversight, governance and operational management. Kip is a senior banking executive with over 20 years’ experience locally and internationally, including in the UK, China and the Pacific. 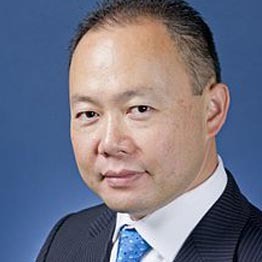 He has deep banking and financial services knowledge and most recently held the position of Head of Asia Pacific Business Development for ANZ, leading the business across 34 markets including Papua New Guinea and Fiji. Kip has extensive experience running successful end-to-end international transaction businesses in emerging markets. 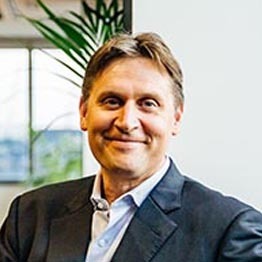 He has led cross-border business transformations covering sales and risk, and is an ambassador for Westpac and the financial services industry. Sustainable business management is both a priority and a passion for Kip, continuing the positive impact Westpac has in the Fiji and PNG communities. 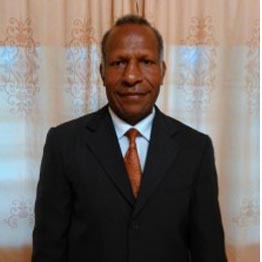 Clarence was appointed Managing Director of the Investment Promotion Authority of Papua New Guinea in 2016, having joined the organisation in 2004. As well as being responsible for investment promotion and facilitation, the IPA also houses PNG's business registry, and the country's Companies Office, Securities Commission and Intellectual Property Office. Zanie Theron is the Managing Partner at KPMG in Port Moresby, and has been living and working in PNG since 2006. She has spent the past 20 years in the accounting profession after leaving a successful career as a lieutenant commander in the South African Navy. She is a chartered accountant in Australia and South Africa and a CPA in PNG and Solomon Islands, Zanie is also a qualified barrister admitted to the Supreme Court in South Africa. Zanie is passionate about the growth in PNG and also the development of high-quality local accountants. As committee member of the CPA PNG education subcommittee she is also a regular speaker at the national CPA conference. Over the past number of years, Zanie has spearheaded the publication of an annual budget brief which aims to bring something different to the market than a mere summary of the government’s budget. John is the Papua New Guinea Resident Representative for the International Finance Corporation, part of the World Bank Group. John joined IFC eight years ago and has been leading Financial Markets work in the Pacific and Timor Leste. He has spent the past 20 years in working in Asia and the Pacific with a strong focus on Papua New Guinea supporting a wide range private sector initiatives. Prior to joining IFC, John was the co-owner and director of First Commercial Limited, a boutique consulting and merchant banking company focused on Australasia and the Pacific, he held Senior Management roles at Citibank and Andersen Consulting in AustralAsia. John holds Master of Business Administration (Major Marketing & Finance) University of Cape Town, South Africa, Bachelor of Science, Chemical Engineering (Honors), University of Cape Town, South Africa, Diploma in Computer Science. Mining has played a major role in Papua New Guinea’s economy for many years but the industry is changing, as the country looks to maximise the value from its mineral resources and also avoid the boom-and-bust cycles associated with the sector. We hear from Moses Mondowa, Executive Chairman and Managing Director of Papua New Guinean-owned Aiabba MInerals, one of a new wave of exploration companies. Moses Mondowa has more than 20 years’ experience in the mining industry include business development (negotiations with international firms, investors and concluded several joint venture agreements). Worked with several exploration firms in various capacity in corporate, government and community affairs, logistics and setting up field camps. He is the founding board member of Rural Airstrip Agency (RAA) in PNG since 2014. RAA is PNG government funded annually for airstrip maintenance and restoration of rural airstrips in PNG. Moses is Executive Chairman and Managing Director of Malaumanda Development Corporation Ltd (MDC-private) has interest in Aiabba Minerals, 100% owned by the indigenous (12 clans) community of the Malaumanda region. Mark was first elected to the House of Representatives for the seat of Parkes, New South Wales, in 2007. He has since been re-elected in 2010, 2013 and 2016. 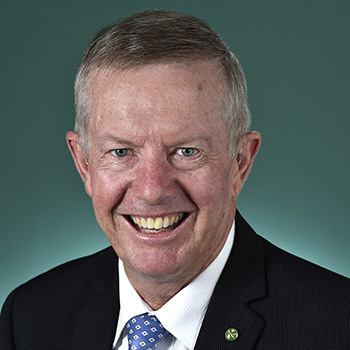 Currently Australia's Assistant Minister for Trade, Tourism and Investment, Mark has held this parliamentary position since March 2018. 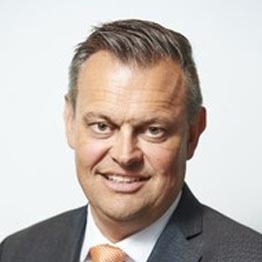 During his time in the Federal Parliament, Mark has also held the positions of Deputy Speaker of the House of Representatives, National Party's Chief Whip, Shadow Parliamentary Secretary for Ageing and the Voluntary Sector, Shadow Parliamentary Secretary for Water and Conservation and Shadow Parliamentary Secretary for Regional Development and Emerging Trade Markets. 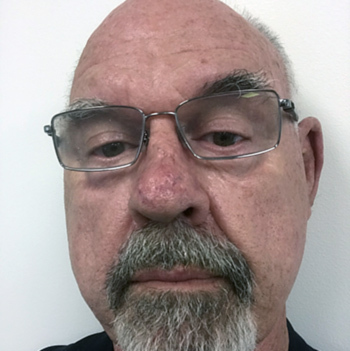 Ian has 30-years’ experience in the palm oil industry and for most of this time has been involved in oil palm research; initially as an agronomist, but later spent 17-years as the CEO of the PNG Oil Palm Research Association. He was the CEO of the PNG Palm Oil Council, the industry peak body, for 5-years before joining NBPOL in 2015 to take up his current role as Group Head of Sustainability. 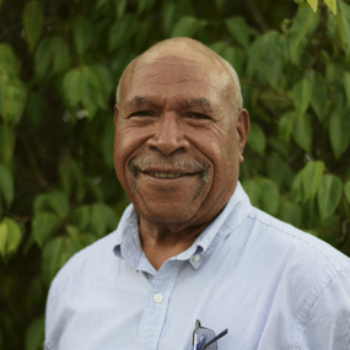 Ian is a member of several PNG Government and institutional Boards & committees dealing with rural development, infrastructure, climate change, health and environment. He is the Deputy Chair of the Rural Industries Council of PNG. He is also a long-term member of the Roundtable on Sustainable Palm Oil’s Smallholder Working Group and more recently the Peatland Working Group. On the back of improved and cheaper internet services, PNG is becoming home to new generation of entrepreneurs—the vanguard of the country’s fledgling digital economy. This session will throw a spotlight on some of the innovators and their work, and also discuss the environment that is encouraging and supporting such entrepreneurs. 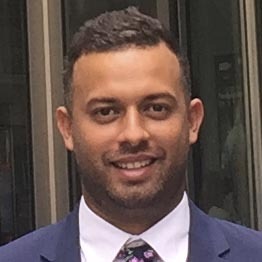 Mathew commenced his career as a banking and finance solicitor at global law firm Herbert Smith Freehills, before launching a series of businesses in the real estate and technology spheres. Early career highlights include the founding of a voice recognition company that assists real estate agents to identify and close sales opportunities and the co-founding and eventual sale of a utility connections business to listed company iSelect. In 2013 Mathew co-founded Digital Classifieds Group, a business focussed on developing online classifieds in emerging markets. The company initially launched in Papua New Guinea with the website Hausples.com.pg, the countries leading real estate portal, quickly followed by the acquisition of Marketmeri.com Papua New Guinea’s leading general classifieds website. Digital Classifieds Group has snowballed since launch and now operates real estate and general classifieds websites in Papua New Guinea, Fiji, Cambodia and Laos. The business has attracted a range of strategic investors, including the founders of Allhomes.com.au, Canberra’s leading real estate portal which was sold to Fairfax Ltd in 2014 for AUD $55+ million. In January 2018 Digital Classifieds Group raised a further AUD $2.25m from Cambodian based venture capital fund Belt Road Capital to fund future expansion and acquisition opportunities. Crystal A.Kewe is the co-founder of CrysanTechnology Ltd, a software company she started in 2014 at the age of 15. She is a passionate self-taught software engineer who has, over the last four years, taught herself everything she needed to know about software engineering and the required mathematics. Her passion and commitment has enabled her to attain a deep level of technical expertise in her field. She is currently the Chief Technical Officer of Crysan. In recognition of her as a subject-matter expert, she was invited by the APEC Secretariat to do a presentations on digital commerce for this year's APEC meetings. 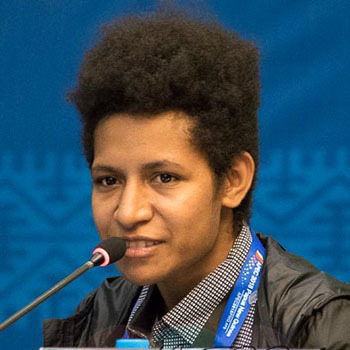 Crystal's recent achievements include the 2017-2018 recipient of the Westpac Young Achievers Category Award at the annual WOW Awards, and the winner of the 2018 APEC App Challenge representing PNG amongst 24 software developers from 9 APEC Economies. Crystal is currently working on software solutions to improve the lives of women, families and the SME sector through the development of integrated systems such as the Family and Sexual Violence Management Information System (FSVMIS) and the Digital Bilum Project called Biluminous for a National Startups SME Platform. Crystal is appearing at the conference courtesy of the Westpac Outstanding Women Awards. Samson has 15 years of industry experience working on multiple digital projects locally and internationally across the education, mining, government and corporate sectors. He is currently a Co-Founder of four companies, partner of two businesses and a consultant to the University in Sydney, all within the Digital and Technology sector. Dr Webster is currently Professorial Research Fellow under the Governance Research Program and Team Leader of the Bougainville Referendum Research Project at the PNG NRI. (From January 2017). 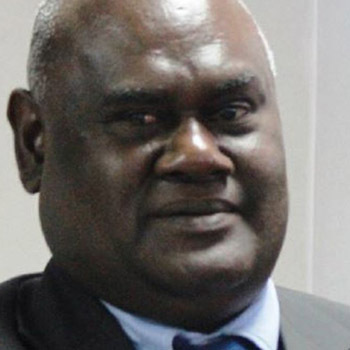 Prior to that, he served as Director of the PNG NRI for nearly eleven years, retiring in 2015. As Director, shifted the focus of the PNG NRI core research work to analysing PNG development issues and public policy options. Some of the key policy reforms that the PNG NRI contributed to thinking and discussions during his tenure as director were in the area of electoral reforms, competition policy, sub-national governance arrangements, land development policies particularly reforms targeted at development of customary-owned land. 6:30pm for 7.00pm—Official Conference Dinner, featuring an appearance from our very special guest, Rugby League legend Darren Lockyer. Darren appears courtesy of the NRL. 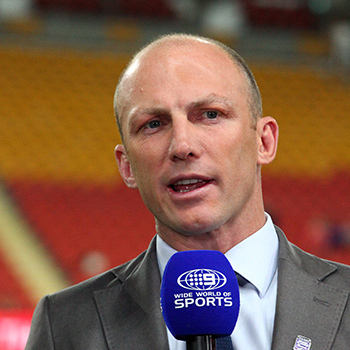 Darren James Lockyer is an Australian former rugby league player and current television commentator. Lockyer was an Australia international and Queensland State representative captain, who played his entire professional career with Brisbane Broncos. He is widely considered one of the greatest players of all time. During his 17-year career, he set appearance records for his club, state and country, and also set additional all-time records for most National Rugby League appearances, most State of Originappearances, most games as captain and most tries for the Australian national team. As a fullback, Lockyer won four grand finals with the Broncos (including a Clive Churchill Medal), a World Cup with Australia, and the Golden Boot Award for the world's best player. He was named in Queensland Rugby League's Team of the Century (1998–2007) at fullback. He switched positions to five-eighth in 2004 and went on to win a fourth grand final with the Broncos, a further five State of Origin series with Queensland, and a second Golden Boot Award. Darren is the special guest at our conference dinner, courtesy of the NRL. Business links between Papua New Guinea and the Solomon Islands are going from strength to strength. Grab a coffee from the Airways Café (open from 8am daily) and get a first-hand update on the Solomon Islands economy from the Chairman and the Chief Executive Officer of the Solomon Islands Chamber of Commerce. 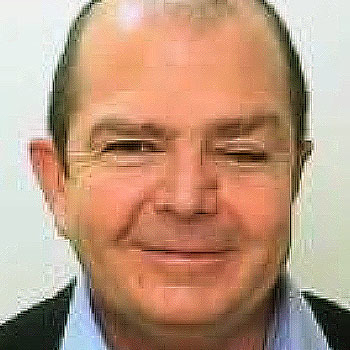 Jay Bartlett is the current Chairman of Solomon Islands Chamber of Commerce and Industry (SICCI), the peak body Private Sector representative in the Solomon Islands. He was appointed to this position in 2015 prior to which he served as Vice Chair. He works in the private sector as the General Manager of Hatanga Ltd, a building and construction company based in Honiara. Jay represents an emerging group of young Solomon Island leaders who want to take the country forward into the 21st century and is clear in his aims of working closely with government promoting private sector led growth through strategic reforms and key infrastructure development. 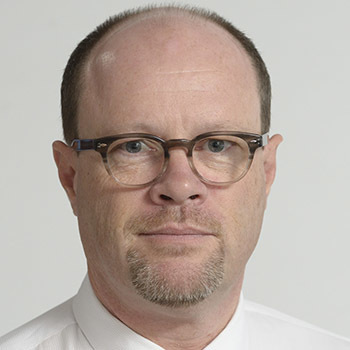 Author of a recent Lowy Institute report on infrastructure in PNG, Craig Lawrence, will provide a ‘state-of-the-nation’ appraisal of the nation’s infrastructure. He will also identify priority future infrastructure projects, notably those best suited to private sector participation. Craig brings over 28 years' experience in the infrastructure sector, working on government, private sector and development projects, particularly in infrastructure and transport. 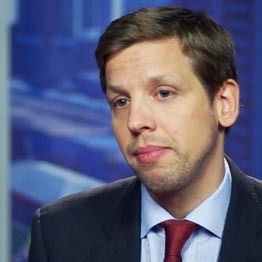 His expertise includes over 100 separate economic, financial or commercial appraisals and modelling assignments, and he is highly experienced in supporting governments and businesses to make informed infrastructure investment decisions, including in the telecommunications, civil and electricity subsectors. Craig has advised investment banks and infrastructure managers on strategic, commercial issues. He was recently the Infrastructure Planning, Policy and Finance Adviser on ASI's design of the Department of Foreign Affairs and Trade's PNG Economic and Social Infrastructure Program. He was also previously the Team Leader and Transport Specialist for the Agency Capacity Diagnostic of the PNG Department of Transport under DFAT's Transport Sector Support Program in Papua New Guinea. No sector in Papua New Guinea has benefitted more from private sector investment in the past decade in PNG than telecommunications. The advent of Digicel has led to more than 80% of PNG’s population now having mobile phone coverage, while 4G is now commonplace and internet connectivity has expanded, improved and reduced significantly in price. So, what's next for the sector, and how can business make use of the new services that are in the pipeline? Pablo heads a DFAT Task Force directed to implement an undersea telecommunications cable connecting Australia with Papua New Guinea and Solomon Islands. Prior to this, Pablo was the inaugural Assistant Secretary of DFAT’s Melanesia Branch. The Branch, established in March 2016, manages Australia’s relationships with Fiji, Solomon Islands and Vanuatu. Before establishing the Melanesia Branch, Pablo headed the Pacific Bilateral & New Zealand Branch encompassing Australia’s relationships with New Zealand, Nauru, the countries of Polynesia and Micronesia. Other positions in Canberra have included Assistant Secretary, International Organisations Branch during Australia’s United Nations Security Council election campaign and Executive Officer, People Smuggling, Refugees and Immigration Section. Pablo was also seconded as a Senior Adviser, International Division, Department of the Prime Minister and Cabinet, a position which provided advice to the Prime Minister on our relationships with Papua New Guinea, Solomon Islands and the broader South Pacific. Overseas, Pablo has served in London (Second Secretary), Manila (Deputy Head of Mission and Counsellor), Port Vila (High Commissioner) and Abu Dhabi (Ambassador). Paul Statham is the Head of Business Solutions at Digicel. He is an experienced Executive with over 25 years of sales and leadership experience in the Information and Communication Technology industry. 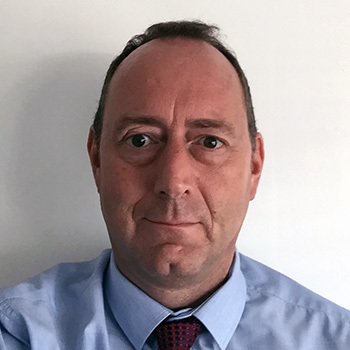 Paul has worked in Western Europe, Australasia and Africa across different areas including Payments, IT Managed Services, Data Centres, Cloud, Wholesale and Retail Telecommunications businesses, both for Blue Chip and Start Up organisations. Formed in Lae, PNG’s manufacturing hub, in 2004, Hornibrook NGI has grown into a strong and diverse company, incorporating manufacturing, engineering, construction and property divisions. Founder and Chairman Mal Lewis will outline the company’s growth strategy and provide insights into the advantages of being based in PNG’s second city. 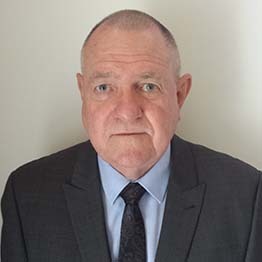 A trained pilot and engineer, Mal joined Hornibrook NGI in 1994 as Managing Director until 2002, when Steamships bought the Baulderstone Hornibrook shareholding, and therefore undertook the additional role as General Manager Industrial for Steamships. In 2004, together with four close friends, he put together a management buyout of Hornibrook NGI to become the major shareholder. In 2007 sold a 20% shareholding to PNG's Nasfund Superannuation to cement our place as part of the PNG community. In 2014, he relinquished the MD role to his son Matthew, and slipped back to the role of Chairman of the Group, to concentrate on strategy and marketing. During the last 24 years, Mal has served on many boards in PNG, chairing several of them, including the Metal Trades Association, NCD Building Board, and National Airports Commission. PNG has ambitions to dramatically expand access to electricity over the next decade, with a goal of achieving 70% population coverage by 2030. State utility PNG Power owns the strategy to achieve this goal, which has already seen significant mobilisation of private sector investment into power generation. Its Acting Managing Director Carolyn Blacklock will outline both PNG’s future energy roadmap and also the outlook for private sector involvement. 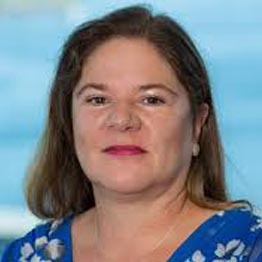 Carolyn has 25 years’ experience in private sector finance, development and infrastructure with the last 15 years in the Pacific. Following a successful corporate banking career working with Australian top tier banks, in 2009, Carolyn moved permanently to Papua New Guinea to establish the International Finance Corporation (the private sector arm of the World Bank) where she led the office for the next four years. Carolyn was engaged by the Government of PNG in Treasury as the specialist adviser to oversee and accelerate infrastructure development and create a pipeline of bankable projects to attract high quality developers and investors to PNG. 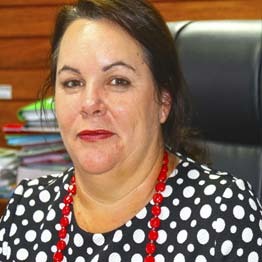 Carolyn was a key member of the PNG Treasury team and provided high level advice on infrastructure and development with a focus on power and health. She is known for her strong track record of taking large, complex projects through to successful delivery and applying innovative solutions to difficult problems. Carolyn was instrumental in advising Prime Minister O’Neill on the supply of fast and affordable internet to PNG which led to securing support from the Australian Government to the tune of AUD$85m to fund the new Sydney to Port Moresby fibre optic cable. She was recently appointed as the Acting Managing Director of PNG Power Ltd.
Renewable energy sources, including solar power, are considered by many experts to be the short-to-medium term electricity solution for PNG's rural and remote communities. Solar pioneer Jon Pittar will tell how Solar Solutions is already helping to meet the power needs of those communities. Arriving in PNG in 1988, Jon has 29 years of experience in senior management roles throughout Papua New Guinea. Jon is currently the Managing Director of Solar Solutions PNG Ltd. The company was established in July 2013. From small beginnings, it has become a respected supplier and solution provider for rural electrification using 12 volt solar home systems in PNG. They have supplied and assisted with installations of thousands of solar home lighting kits for schools, village health centres and village homes. Jon is also currently Chairman of Pure Water LTD and Vice President of The Solar Energy Association of Papua New Guinea (SEAPNG). Previously, Jon was with Colgate Palmolive PNG for 15 years, the last 8 as General Manager, and with SP Brewery for 5 years as Regional Operations Manager for the Islands, Highlands and Momase regions. Getting goods to market, both domestically and overseas, has traditionally been a major challenge in Papua New Guinea. This session will examine the substantial progress being made in the country’s key areas of transport: roads, aviation and ports, and identify increasing opportunities for private sector participation. Dave is an economist with 28 years of experience in infrastructure planning and implementation. After working for the US Army Corps of Engineers for ten years in Washington DC, Dave moved to Asia in 2000, where he spent the next ten years working on Multilateral Development Bank financed projects throughout Southeast Asia and the Pacific, with considerable inputs in Indonesia, the Philippines, the Solomon Islands, and Vanuatu. In 2010, Dave joined the Asian Development Bank as a transport specialist working in the Central and West Asia Department, focused on reconstruction of Afghanistan's transport network and charged with oversight of a $1.5 billion portfolio. In April 2016, Dave transferred to ADB's PNG Resident Mission where he initially served as the Unit Head for Portfolio Management, whilst also being charged with processing the $1 billion Sustainable Highlands Highway Investment Program, which was approved by the ADB Board in June 2017. In May 2017, Dave was appointed as Country Director and currently oversees ADB’s operations in PNG.